This is a step by step breakdown for Xero Integration with the system. You would need the accounting module to be able to integrate the system with Xero. 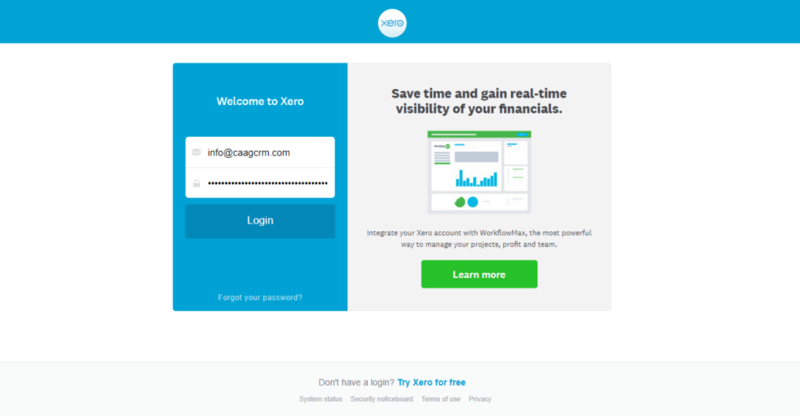 Please contact [email protected] with the title “Please enable Accounting Module for (Company Name) for Xero Integration” to enable the module. Go to https://developer.xero.com/myapps and log in with your Xero credentials. Click on the “New App” button located on the top right of the page, highlighted in orange in the picture below. After you have clicked on the “New App” button, a new window will appear. Fill in App name and select your organization. 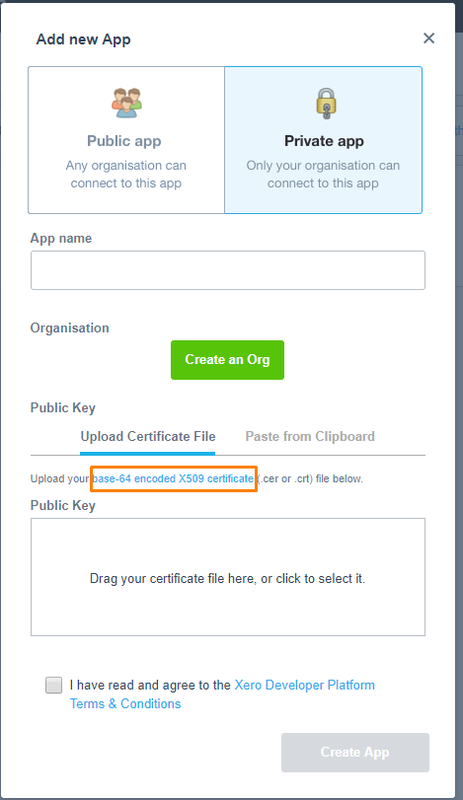 Click on the button, highlighted in orange in the picture below, and follow the steps to retrieve your base-64 encoded X509 certificate. For better understanding, watch the video provided by Xero located at the bottom of the page in that link. 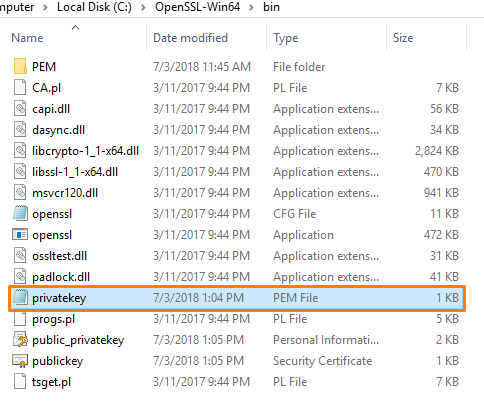 Navigate to the place where have your certificates (mostly it would be in the bin folder in the OpenSSL folder) and drag and drop the “publickey.cer” file highlighted in orange in the picture below. Next, read and tick the terms and conditions checkbox and click on the blue “Create App” button. Once have clicked on the “Create App” button, a new page will open. 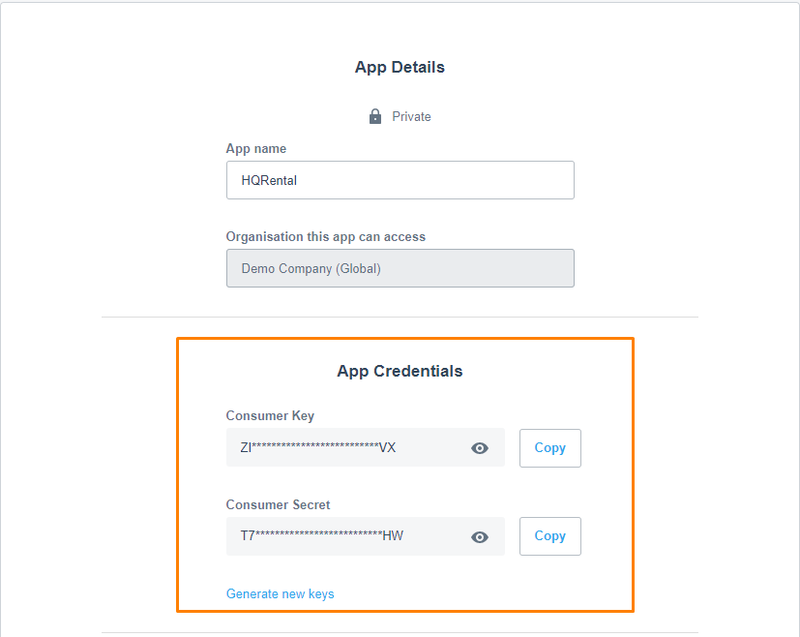 Here take note of the App Credentials, highlighted in orange in the picture below, as you will need these two items for a later step. In the system, head to the Driver tab under the Accounting category in the settings highlighted in dark blue in the picture below. Click on the yellow “Enable Xero” button, highlighted in orange in the picture below. Next, click on the green “Enable Connection” button, highlighted in orange in the picture below. Head to the Xero tan under the Accounting category in the settings, highlighted in dark blue in the picture below. Next, key in the 2 keys acquired from Step 3 respectively. 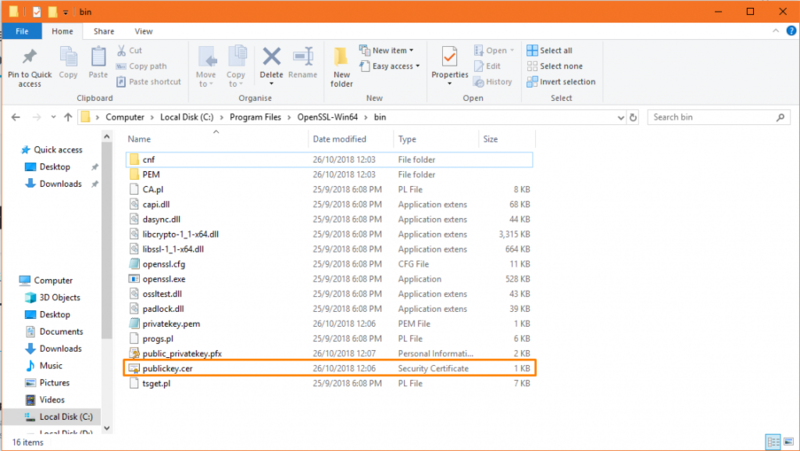 The private key can be retrieved from the same folder as the certificate that you uploaded in Step 3, highlighted in orange in the picture below. To access the file, right click on the file, select “Open With”, and select any of the text document programs. Copy and paste the entire key including “—–BEGIN RSA PRIVATE KEY—–” and “—–END RSA PRIVATE KEY—–“. Click on the blue “Save” button to finish the setup. You can test your connection by clicking the blue “Test Connection” button, highlighted in orange in the picture below. If you did the steps above correctly, you will see a green notification message saying that the system is now connected like in the picture below. To learn how to integrate with Quickbooks Online instead, click here.